You Are Here: Home » QuickRead Featured » When Should an Appraisal be Attached to a Return? When Should an Appraisal be Attached to a Return? There is no requirement to attach an appraisal for an estate of gift tax return, but having been involved with the classification of returns at the Cincinnati Service Center located across the river in Covington, Kentucky, I want to share my thoughts on when it is appropriate to attach an appraisal done for gift and estate tax purposes. How about for an estate or gift tax return? There is no statutory requirement to attach an appraisal for an estate of gift tax return, but having been involved with the classification of returns at the Cincinnati Service Center located across the river in Covington, Kentucky, I want to share some information with you to encourage the attachment of an appraisal to an estate or gift tax return. When I worked as an IRS Engineering Territory Manager in Cincinnati, Ohio, often two of my IRS valuers and two IRS estate and gift tax attorneys from some geographic location (let’s say Chicago this time) would go to the Cincinnati Service Center periodically (depending on the volume of returns filed) to review and classify returns. This was a national classification process and the returns would be classified nationally. To avoid any local bias, no returns would be classified for Illinois with the two IRS estate and gift tax attorneys coming from Illinois. The returns for Illinois would be saved for the next round of classification. The returns for the rest of the country would be classified. The IRS valuers would review the returns from the perspective of an appraiser. The attorneys would review the returns from the perspective of legal issues associated with the return. If an appraisal was attached, the IRS valuers would review the appraisal to see if it was prepared by a qualified appraiser (for example a CPA with an ABV designation, a CVA, an AVA or CBA for business valuations), see if the appraisal met professional business standards for the certifying organization (the American Institute of Certified Public Accountants, the National Association of Certified Valuers and Analysts, and the Institute of Business Appraisers as examples for business appraiser societies with standards), and then read the appraisal. For a definition of what constitutes an appraisal by a qualified appraiser, see IRS Internal Revenue Bulletin 2006-46, Notice 2006-96, and IRS Publication 561. The IRS valuers would then also review the assumptions and limiting conditions, determine whether the major approaches to value were used, see how discounts, if any, were arrived at, read how the reconciliation of methods for the valuation was presented. If there were no concerns, the classification process would be negative and there would be no referral to the local area for audit from the IRS valuer’s perspective. Next, a combination of feedback from the IRS valuers and the IRS attorneys would make a recommendation whether the return should be sent to the field office where local estate and gift tax attorneys and IRS valuers would also read and consider the disclosed information. If no appraisal was attached, the national IRS valuer classifiers literally only have the attached forms and dollar amounts to make a determination. With no other information, the return would likely be sent to the local area for further classification. At the local area, the local group estate and gift tax classifier and a valuer from the engineering group may look at the same information on the return and supporting documentation, coupled with local knowledge, and make a determination to audit the estate or gift tax return. If the estate or gift tax return had included an appraisal by a qualified appraiser, it is quite possible it could have been accepted during the national classification process, and there would have been no need to send it to the local estate and gift tax group for additional scrutiny enhancing the probability of an audit. Having advised many clients on this process, I have recommended if multiple appraisals are associated with a return, make it easy for the national IRS classifiers. Organize and attach the appraisals and do a little more. I suggest including and attaching a one-page summary to the appraisal with major elements associated with the appraisal to assist the classifier in making a decision quicker on the case. By making their job easier, this enhances the likelihood of not being selected for further scrutiny locally. It suggests that the professionals are making full disclosure and have done their job. Professionals in need of additional assistance can do more; as a practitioner and consultant to valuers, I also review appraisals and make recommendations on how to enhance quality in certain areas to reduce the probability of an audit. In sum, I recommend attaching a qualified appraisal by a qualified appraiser with all returns submitted to the IRS. First posted at www.mikegreg.com/blog January 7, 2016. 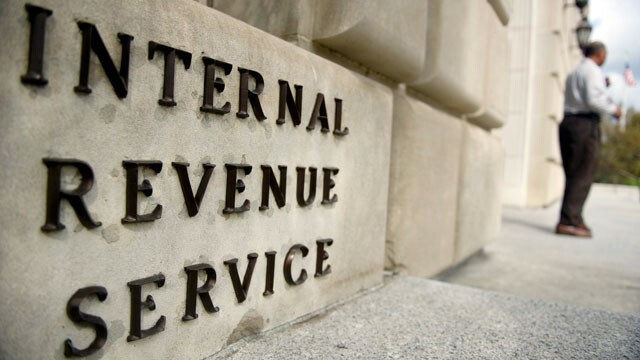 Michael Gregory worked for the IRS for 28 years as a specialist through executive level. Today as part of his consulting work, Mr. Gregory reviews business valuation reports and helps with conflict resolution issues related to business valuations including with the IRS. In 2011, he founded Michael Gregory Consulting, LLC. His web page is www.mikegreg.com offering his videos and books. He can also be reached at (651) 633-5311.